Ever wanted a top of the line product without paying a top of the line price? That was what I had in mind when I set out to find a new gaming laptop. Two months of research and a very handsome Black Friday deal led me to this piece of machinery, the MSI G Series GT683DXR-423US. It has a lot of power, very few and no critical flaws. Such qualities make this machine ideal for budgeted gamers. As most viewers already know, when it comes to shopping for a gaming machine, one of the most important parts to look for is the graphic card. The MSI G Series GT683DXR-423US is equipped with the NVIDIA GeForce GTX 570M with GDDR5. 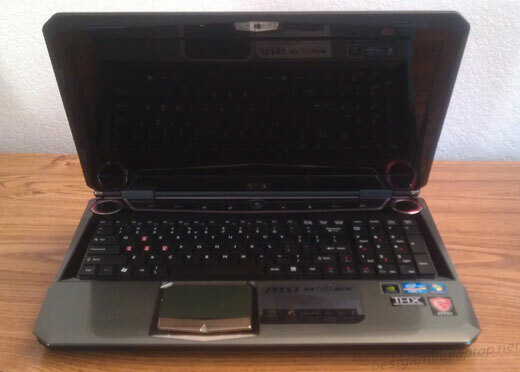 At the time of writing, the 570M, released in June 2011, is the second best laptop graphic card offered by NVIDIA. The first place goes to the 580M, with a much more luxurious price tag than the 570M. 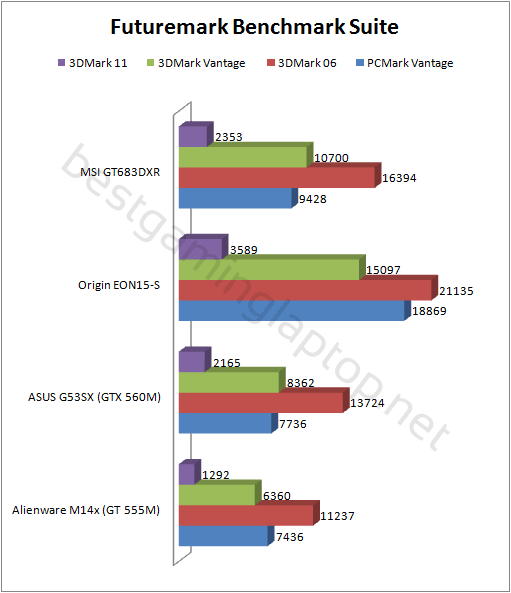 Please note the Force 16F2 sold by XoticPC is a very similar machine to the MSI G Series GT683DXR-423US. It is one of the few models currently packing the NVIDIA GeForce 570M. This Force model should be considered if you are interested in any of the GT683DXR specifications. Depending on the customization, the Force 16F2 can offer better specifications, customizable skins and a cheaper price tag. However, I opted for the better overall build quality and better after-sale services. The Good: First things first, the graphics card. 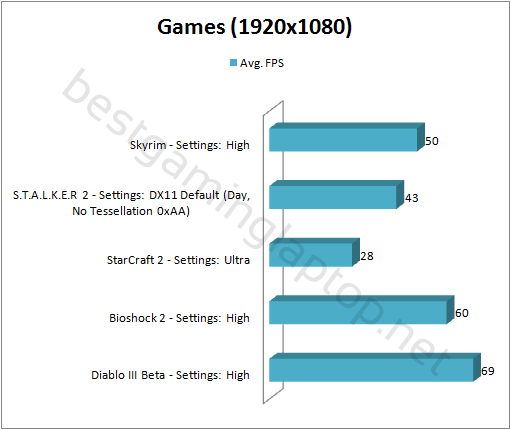 The NVIDIA GeForce GTX 570M with GDDR5 is no joke. It can handle anything and everything I throw at it. In my opinion, gaming laptops can never truly replace desktops in power. However if you are looking for something that lets you play in bed while leaving the graphics settings on extreme, the NVIDIA GeForce GTX 570M will satisfy you. The noise level and temperature. Due to this machine’s unique design, the temperature of this laptop is very stable. The noise level is very standard for a gaming laptop. It is not too loud, nor is it silence. Dual HDD slots. You might think it doesn’t matter, but it does. Imagine having the load speed and security of an SSD, and the storage capacity of a normal HDD. You can with dual HDD slots. Note that this specification does not come with the SSD, the SSD and normal HDD combination is only an available option. The bad: Size. The size of the laptop is huge. It is a lot closer to 17″ than it is to 15.6″. It has a thick border around the screen, and it is just a small layer thinner than my 17″ media player Dell. 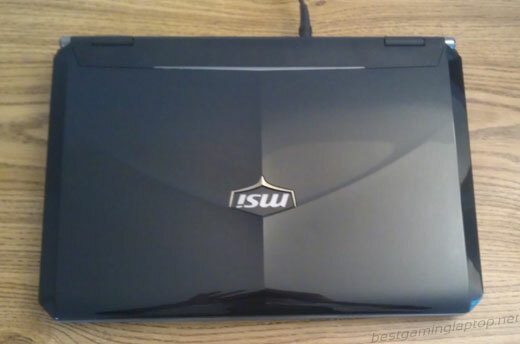 Personally this is the biggest disappointment because I set out to find the best 15.6″ budget gaming laptop but I ended up with a 17″ laptop with a 15.6″ screen. I could’ve had a lot more options to choose from if I wanted a 17″ laptop. The Keyboard. I don’t know why, but there is a “|\ ” key between the space bar and left Alt key. This makes games that use alt key, and alt tabbing very difficult and uncomfortable. Another minor inconvenience is that the right shift key is much smaller than usual because of the built-in arrow keys However, I say that is worth it for having the num pad. The built-in mic. Not that I think anyone do, but don’t even think about using the built-in mic. It will sound like you are swimming somewhere far away. The Design. The design is very flashy, and somewhat childish. I wonder if the logo is supposed to look like the batman signal. A reference to Batman: Arkham city, launched in almost the same month as this laptop. I am not here to discuss fashion. However, note that you will not be able to take this laptop somewhere, say work, and have yourself pass as a serious professional. This laptop is all about what is packed inside. Then again, if you are the type of person who cares about its exterior look and not what’s inside, then get a Mac. Glossy screen. Sorry, I am a matte fan. The image is stunning, but I have sweaty hands. Blu-ray. It doesn’t have Blu-ray. Do you really care? The turbo fan. The turbo fan is designed to drastically increase fan speed when the laptop overheats. While this is a great quality to the laptop, it has not been tweaked to perfection. The turbo fan does not always kick in when the laptop overheats, and there is no easy way for the user to manually turn on the turbo fan. Good question BMA. I’ll have to forward it to Lin, but since it lacks Optimus it is almost certainly closer to 3h. Nice review. And pretty much as I expected. Although it is a nice laptop, im glad I spent a couple of extra bucks more, and got the Clevo instead.